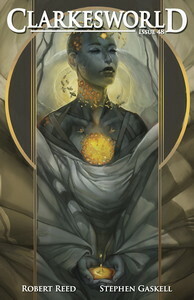 The September issue of Clarkesworld Magazine is now online. If you like what we do, please consider participating in our citizenship drive by making a a donation, purchasing a book or an ebook. The Kindle edition of this issue will be available from Amazon later this week, but EPUB (Sony/Apple/Nook/etc.) and MOBI (Kindle/Mobipocket) are available now from the Wyrm Publishing ebookstore.